SAN DIEGO, CA--(eSolarEnergyNews)--Kyocera’s solar panels, tested for long-term deployment in marine and coastal areas, are powering an innovative Ocean Internet of Things™ (IoT) remote data monitoring platform off the coast of Huntington Beach, Calif. 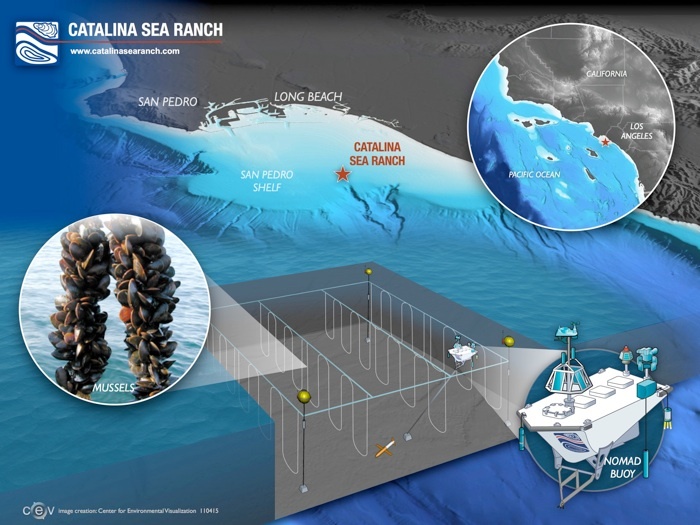 Developed by eMarine Systems for the 100-acre Catalina Sea Ranch, the new NOMAD sea buoy is able to take the “pulse” of a specific area in the ocean. Gaining worldwide attention, the buoy features IoT sensors that transmit a variety of marine data in real-time to the wireless cloud, providing government agencies, the scientific community and research institutions a web-based analysis of the ocean. A Sea-Bird MicroCAT sensor on the buoy monitors water temperature, salinity, dissolved oxygen, phytoplankton density and sensor depth. 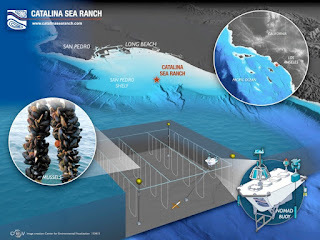 Real-time cameras mounted to the mast provide security for the aquaculture ranch, and the buoy’s internal battery voltage and processor temperature are remotely monitored to help ensure optimal performance. In the future, the buoy will measure pH levels and pings from acoustic tags placed on marine mammals by researchers. It will also feature additional above- and below-water live camera feeds. The buoy is an aluminum boat 10 feet wide and 20 feet long with equipment and batteries below deck. Four Kyocera 145W solar panels and a vertical axis wind turbine (VAWT) are supported by solar charge controllers and a battery monitor, which network together to provide power for the buoy’s remote monitoring capability. Kyocera’s entire line of photovoltaic (PV) solar modules has passed the Salt Mist Corrosion Test, IEC 61701: Severity Level 6 and Severity 1, administered by TÜV Rheinland. Successfully passing this independent, third-party testing indicates that Kyocera’s solar modules — built upon four decades of continuous solar R&D — can perform with optimal output even in severe conditions including harsh marine, coastal, and agricultural environments. Kyocera’s modules also exceeded the criteria for the industry-standard Ammonia Test, IEC 62716: ed 1.0, which makes them optimal for installation near livestock, greenhouses, and other environments subjected to fertilizer, ammonia, and dust.